xoxo Dia.www.peach-punch.comP.S: I have a new post btw, check it out! Love your look! I agree that wearing bright colors improves your mood! 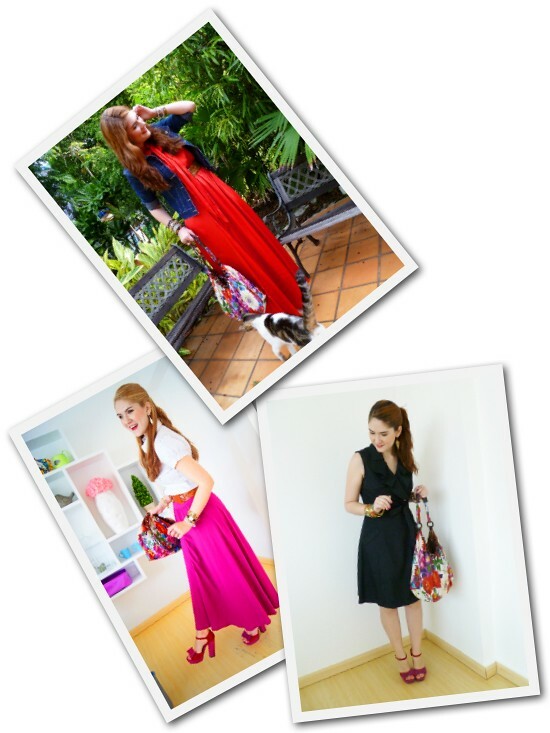 That bag is so fun... You wear brights so fabulously!! I like the bright bag, and that skirt is pretty on you. OMG, you are almost blonde! Pretty outfit, as always, you rock. You are one of the most beautifully colored dresser out there! Love that gorgeous pink skirt!